M for Montreal returns next month, and the festival's lineup has just been expanded to include some notable new artists. This year's Polaris Music Prize winner Jeremy Dutcher will perform, as will fellow nominees Partner and Hubert Lenoir. SHASH'U has also been added to the roster. They join a list of previously announced acts that include Milk & Bone, Helena Deland, Kero Kero Bonito, How to Dress Well, Yukon Blonde and Reuben in the Dark. The list of remaining performers includes Aaricia, Adelaida, Antoine Corriveau, ASMA, Bad Bones, Beach Body, Black LeGary, Blue Material, Blue Odeur, Bodywash, Boogát, Busy Nasa, CAPE TULA, Carnival Youth, Chandra, Choses Sauvages, Christian Sean, Cindy Doire, Corridor, Dave Chose, daysormay, DeusGod, DJ NAV, Dj Yaya, Elliot Maginot, FET.NAT, Florda, Foreign Diplomats, FouKi, Fountain, Game Genie Sokolov, Gypsy Kumbia Orchestra, Hein Cooper, Hey Major, Holy Two, I M U R, Imposs, Jacobus + DJ UNPIER, Jenni & the Hummingbird, Joe Rocca, John Jacob Magistery, JT Soul, Julian Thomas, Karma, Kevin Na$h, krief, Kris the $pirit, LaF, Le Galaxie, LEMONGRAB, Les Louanges, Loïc April, Lonely Parade, Lost Cousins, Loud, Maia, Maky Lavender, Material Girls, Núria Graham, Ogee Rodman, Osti, One, Ouri (DJ set), Pottery, PRO-V, Rachel Beck, Radiant Baby, ROE, Rowjay, Russell Louder, SHELMI, Socalled, Sonido Pesao, Sorrey, Tanukichan, Teenanger, TEKE TEKE, Tess Roby, the Almighty Rhombus, the Garrys, the Zephyr Bones, the Zolas, Theodore, VENUS, VICTIME, Winona Forever, Xarah Dion, yoo doo right, Yung Heazy. Zach Zoya, Zen Bamboo and Zephyr Bones. 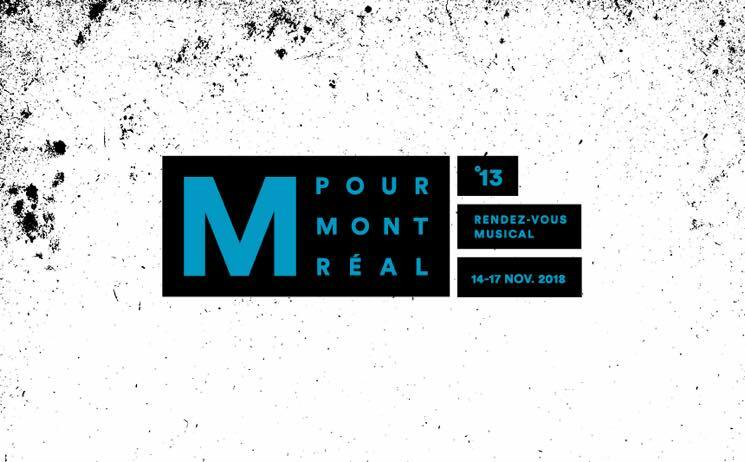 The festival runs at venues around Montreal from November 14 to 17. For full festival information and updates, check out the official M for Montreal website.